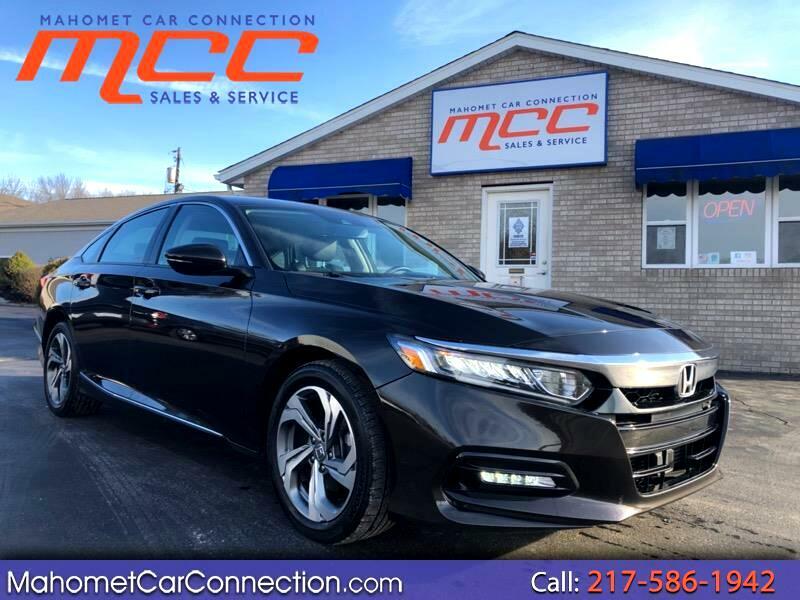 Completely redesigned 2018 Honda Accord EXL in stock here at MCC!! 20k miles!! 1.5L 4 cylinder turbo engine getting 30 MPG city/38MPG highway. EXL model includes heated leather seats, power sun roof, LED day time running lights, keyless entry, power driver seat and power passenger seat, 10 speaker audio system, Bluetooth, navigation, and a auto dimming rearview mirror. Safety features include Anti lock brakes, traction control, side curtain airbags, blind spot monitoring, adaptive cruise control, and lane keep assist. Come experience the MCC difference! !